Can you believe this? It’s true! It’s what I so desperately want to get across in my book MESSAGES. They hear us! They love us! We can work with and learn from them! Yes, all of the species, entities, earth-beings on the planet! The following story about Lawrence Anthony is a gift to all of us. Reality is bigger than we imagine/perceive/fathom. If we come to understand even a part of it, we will expand beyond what we ever imagined just by the knowing – even more by the moving into that paradigm. Enough said, I will let the rest of this blog speak for itself! I’m going off to my Sacred place to pray and give thanks. And first I will weep for joy for the life and love of Lawrence Anthony! 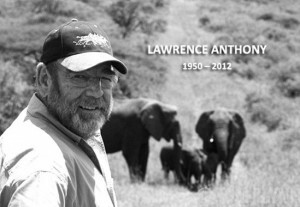 Lawrence Anthony, a legend in South Africa and author of three books including the bestseller The Elephant Whisperer, bravely rescued wildlife and rehabilitated elephants all over the globe from human atrocities, including the courageous rescue of Baghdad Zoo animals during the US invasion in 2003. On March 7, 2012 Lawrence Anthony died. He is remembered and missed by his wife, two sons, two grandsons and numerous elephants. Two days after his passing, a remarkable thing happened! The wild elephants showed up at his home led by two large matriarchs. Separate wild herds arrived in droves to say ‘goodbye’ to their beloved man-friend. A total of twenty elephants had patiently walked over 12 miles to get to his South African house. Witnessing this spectacle, many people were obviously in awe, not only because of the supreme intelligence and precise timing that these elephants sensed about Lawrence’s passing, but also because of the profound memory and emotion that the beloved animals evoked in such an organized way: walking slowly – for days – making their way in a solemn one-by-one queue from their habitat to his house. Lawrence’s wife, Francoise, was especially touched, knowing that the elephants had not been to his house prior to that day for well over a year, yet they knew where they were going! The elephants obviously wanted to pay their deep respects, honoring their friend who’d saved their lives – so much respect that they stayed for two days and two nights. 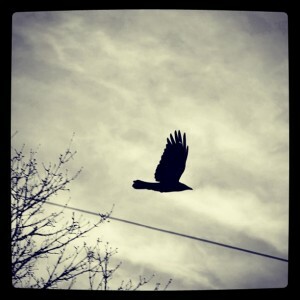 Then one morning, they left, making their long journey back home. *The preceding story was taken from a series of emails. It’s authenticity and original author are yet to be identified/determined.